2125 was the year the proxy war began in earnest. The Heshe and Uruk, each with drastically different views of right and wrong, met in open conflict with disastrous results for the known universes. At the same time this was the finest year for the Galactic Coalition.... 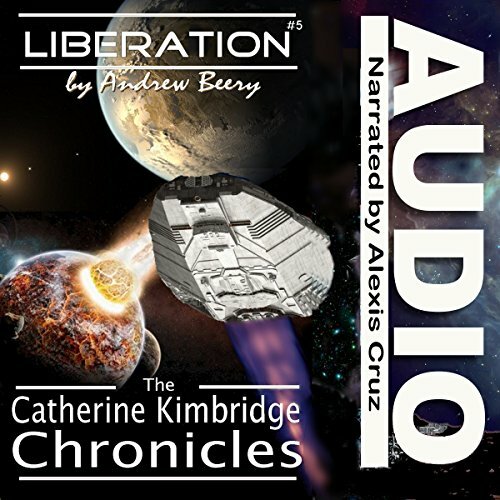 In this exciting fifth book in the Catherine Kimbridge series Admiral "Cat" Kimbridge struggles with a handful of her closest friends to save not one but two universes. The Heshe and Uruk have been battling for scores of millennia. As they grow more powerful they threaten the very fabric of spacetime. A third race, the Agur, masters of time and "guardians of forever" seek to avert a battle that destroys multiple universes by establishing a proxy war - the winner takes all. Cat and the GCP Yorktown battle on the side of the Heshe while Modos forces loyal to the Uruk battle on the other. This book marks the end of the Proxy War story arc but fear not! It is not the last we will see of Cat!